If you hate folding and would rather put chips in the pot, then heads-up ring games may be for you. Due to the fact that there are only two players, it's correct to play very wide ranges both pre- and post-flop. Also, if you have an edge on the other player or are very good at making quick strategy adjustments based on opponent tendencies, your advantage is multiplied by being able to play a full session against a single individual. These benefits also apply to HUSNG games as well, but some prefer cash because it allows you to play deep-stacked at all times without having to engage in the all-in lotteries common during the latter stages of sit-n-gos. 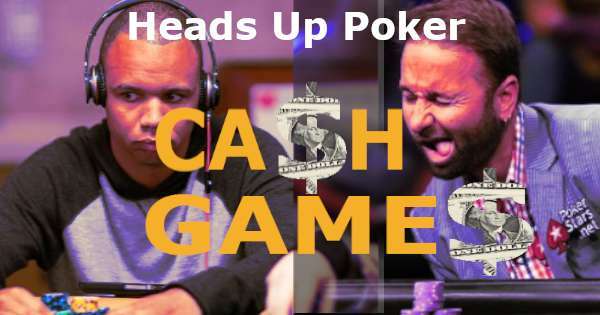 In order to save you some research time, we've identified four places to play heads-up poker cash games. We'll tell you about their traffic levels, the stakes and poker variants available, bonuses and promotions, and other important info on each room. All of the below offshore poker rooms have stable software, fair games, and fast payout speeds. You can play with confidence at whichever of them you eventually choose to be your online heads-up poker home. Of the sites on our list for heads-up online cash games, Ignition, on the PaiWangLuo Network, has the most traffic by far. As a new player, you're entitled to a sign-up bonus of 100% up to $1,000 on your first deposit. Heads up tables certainly qualify under the T&Cs of the bonus. Ignition has you covered whether you like regular No Limit Texas Hold'em, high-only Pot Limit Omaha, or PLO/8 split-pot poker. HU ring games are offered between $0.02/$0.05 and $2.50/$5.00 in all three of these variants. One unusual aspect of Ignition's setup that you'll want to bear in mind is that all games are anonymous. What this means is that you won't know who you're playing against, and correspondingly, your opponent will not get to see your screenname either. This may be a drawback if you're a heavy HUD stat user, but on the other hand, this arrangement leads to ultra-soft games as the fish are more comfortable playing when there's no chance of their being targeted by savvy sharks. The Ignition poker bonus is based on poker point accrual in the 30 days after your qualifying deposit. As you surpass certain point totals, you'll get a bonus payment automatically added to your balance the next day. For those who opt to take advantage of the entire $1,000 bonus sum, they'll see cashback rates of around 20% in heads-up cash games. The initial stages of the bonus require a smaller number of points and deliver higher effective RB percentages, meaning that this deal is especially beneficial for those who only intend to take advantage of a portion of the full $1,000 value. 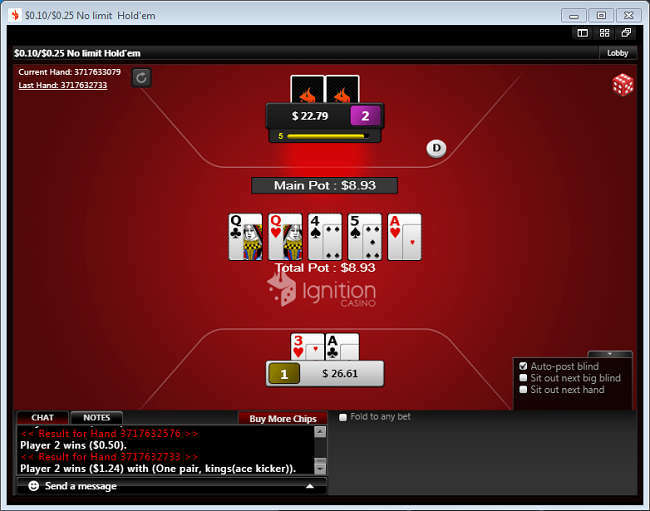 Ignition provides poker software executables for PC and Mac. Furthermore, there's a mobile interface that works well on any modern smart device. If you think Ignition has what you're looking for in a heads-up poker site, then by all means, read our Ignition Review to learn how to register your account and get the maximum bonus possible. Ignition has a sister site called Bovada, which is where you'll want to go if you enjoy betting on sports as well as playing poker because it has a sportsbook, which is not the case at Ignition. Consult our Bovada Poker, Sports, and Casino review to find out more. Intertops spreads several distinct forms of HU poker although the volume you can put in will be lower here than at Ignition because Intertops has only a fraction of the traffic. Nevertheless, this site – the flagship of the Horizon Poker Network – is worth incorporating into your mix because of the softness of the player pool and the sheer number of bonuses and promotional specials that Intertops provides, starting with a 200% up to $1,000 initial deposit bonus deal. 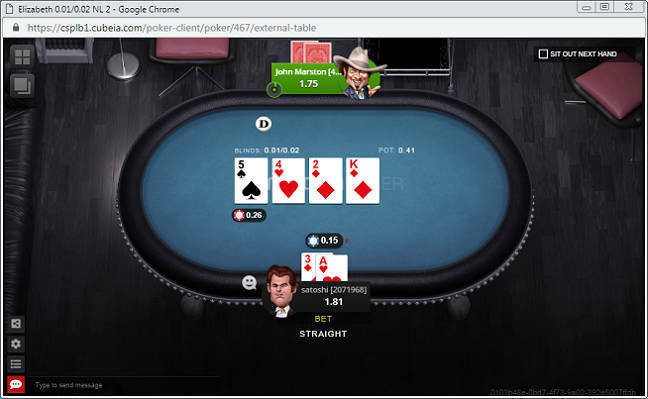 PLO lovers will be able to indulge their fondness of one-on-one play at the cash game tables from $0.02/$0.04 through to $0.25/$0.50 in both high-only and hi-lo forms. Oddly, two-card NL Hold'em is only present for heads-up at $0.10/$0.20 and $0.25/$0.50. When you play head-to-head cash games at Intertops, you'll be clearing your 200% up to $1,000 bonus at a rate of only 6% value-back. What's important to note, however, is that this number adds on top of the 36% rakeback that you'll obtain when you sign up through our links. The bonus is good for three months and pays in $5 segments. Rakeback is awarded every day in increments of $10. Intertops also has weekly $4k rake races, a loyalty levels program, frequent reload bonuses, overlay tournaments, and many other promotions. The Intertops downloadable poker client is only compatible with Windows PCs. However, there's an Instant Play website that lets you log in and join tables from Macs, smartphones, and tablets. If all of the above sounds good to you, then browse over to our Intertops review to find out how to get started. Intertops also has an associated partner site that provides many of the same perks, and if you want to know more about it, read our Juicy Stakes review. SwCPoker is a Bitcoin-only site that uses the formula of 1 bitcoin = 1,000,000 chips. It does offer the opportunity to play heads-up cash games. There's no registration bonus, but you can achieve up to 50% rakeback through the Krill rewards system depending on your volume of play. Ring game heads-up tables are denominated from 1 chip/2 chip (sub-penny poker) up to 30,000/60,000 (about $100/$200 at current market rates). At SwC, the game selection isn't limited to just NLHE, PLO, and PLO/8 as it is at most other rooms. You can sample heads-up 5Card Omaha hi-lo and several Open Face Chinese formats although these less-popular variants aren't offered at the highest stakes. The largest problem you may encounter is finding an opponent because this poker site is definitely on the niche side of things. Still, it can't hurt to sit alone at a few tables at SwC while you grind on another site. SwC is compatible with Mac, Windows, and iOS devices. In addition, there's an HTML5 client that loads up in your web browser. For more on all things SwC, check out our SwCPoker review. Nitrogen is another Bitcoin-oriented poker provider, and it counts each bitcoin as 1,000 chips. Although there's no welcome bonus here, Nitrogen delivers ongoing value in the form of freerolls and the Nitro rewards program, which offers mBTC credits and free bets to the tune of 10% - 100% rakeback based on your monthly rake totals. 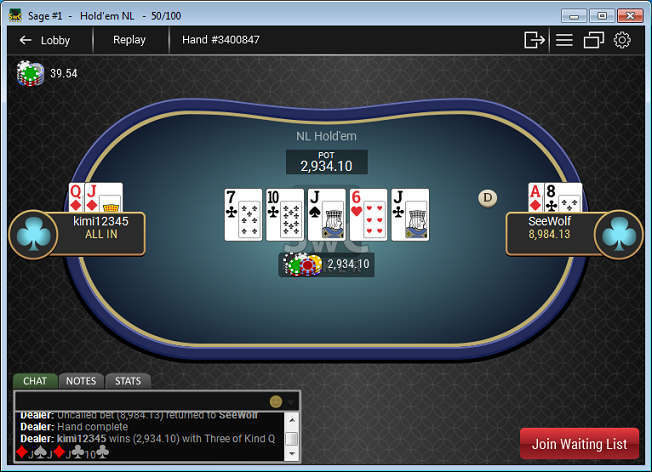 The action starts off small in Nitrogen's HU games – 0.01/0.02 chip blinds (about $0.04/$0.08). Yet, it reaches as high as 200/400 ($750/$1,500). Although Nitrogen does offer several different games for larger table sizes, the heads-up section is restricted to No Limit Hold'em only. Player volume is pretty sparse, but you'll probably encounter an opponent before too long if you have the patience to wait awhile. Nitrogen operates according to a no download model, so you can open the room up directly in your browser. You can peruse our Nitrogen Sports Poker review for additional details. Armed with the information we've just given you, you're now ready to pick a site and get started in the exciting heads-up cash game scene. All of the rooms above are upstanding gaming operations that gladly welcome players from the United States. If you're a newcomer to heads-up cash, then look below for common questions about this style of poker and accurate answers to them. How do the blinds work in HU cash game poker? 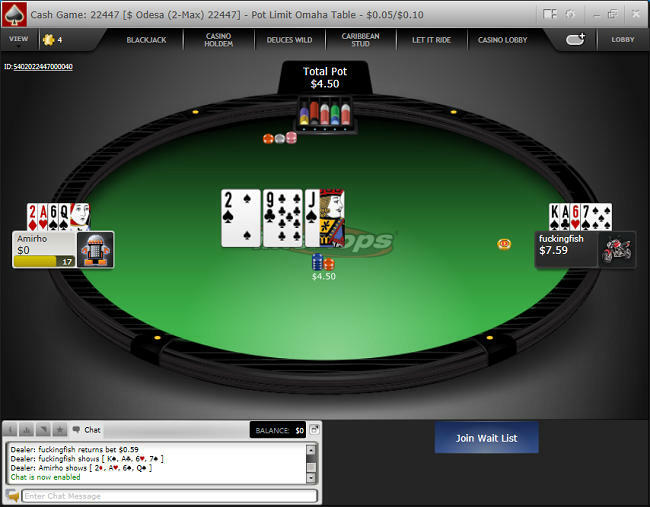 In heads-up Hold'em and Omaha poker, the button has the small blind and acts first preflop. On later betting rounds, the big blind acts first. Grimming refers to sitting down at a heads-up table, playing just a single hand from the favorable small blind/button position, and then leaving. This practice was named after “grimstarr”: a heads-up regular who was the first to begin shooting this angle in a methodical way. It goes without saying that grimming is considered a dirty tactic to use, and we urge you to refrain from it. Depending on the rules of the poker room, habitual grimmers may find themselves subject to account termination. What is the rake like in a heads-up poker game?